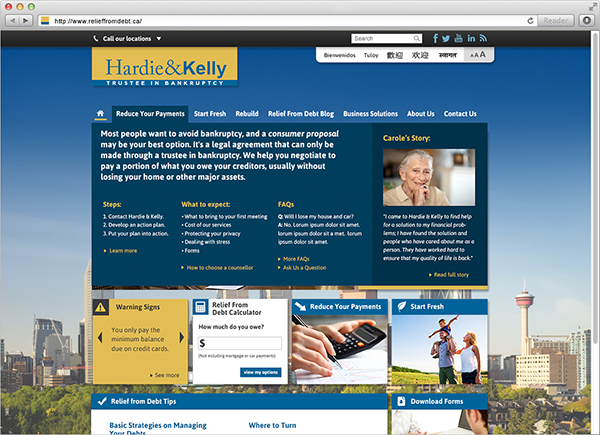 Hardie and Kelly is a boutique professional services based in Western Canada. Entrepreneurial, empathetic, efficient, professional – these are the hallmarks of this firm. With a significant monthly spend on yellow page and other ads, we were asked to explore how online marketing can drive new lead generation with reduced monthly spend, while also showing that they do care about the people they serve. 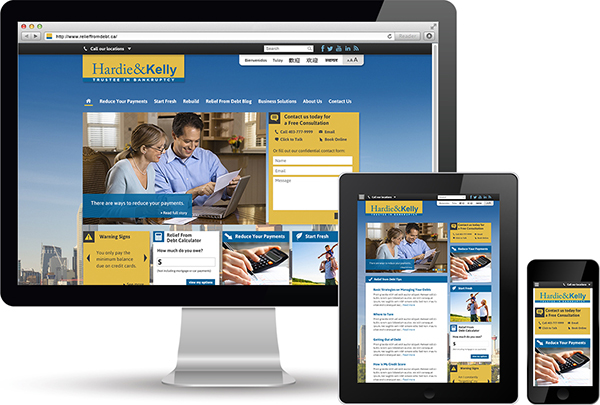 During the first phase of our engagement, we developed a conversion-focused website designed to generate leads. 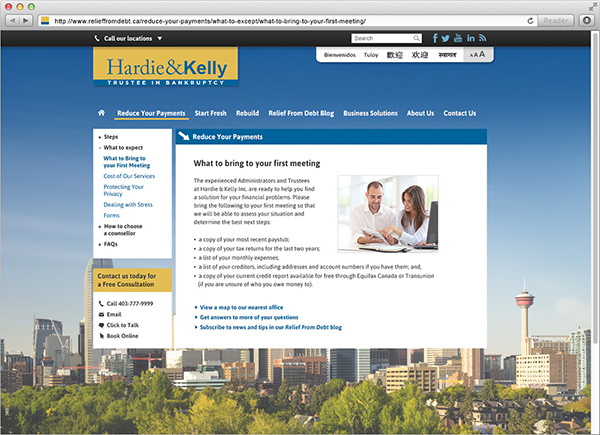 The website was designed with the city of Calgary as the background to differentiate it from non-local competitors. 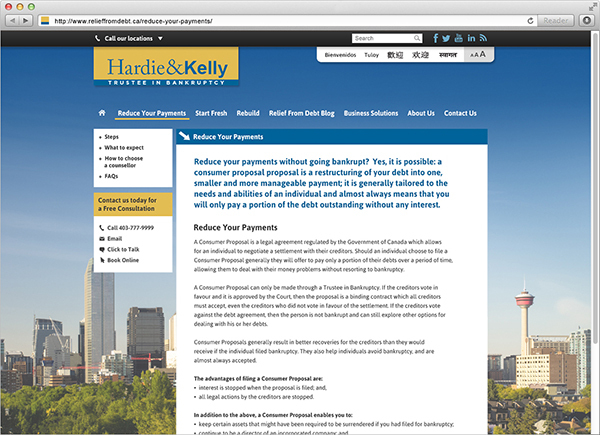 We developed a debt calculator, programmatic SEO, and was optimized for mobile, tablet and desktop using responsive design, thereby saving time and cost on site management. 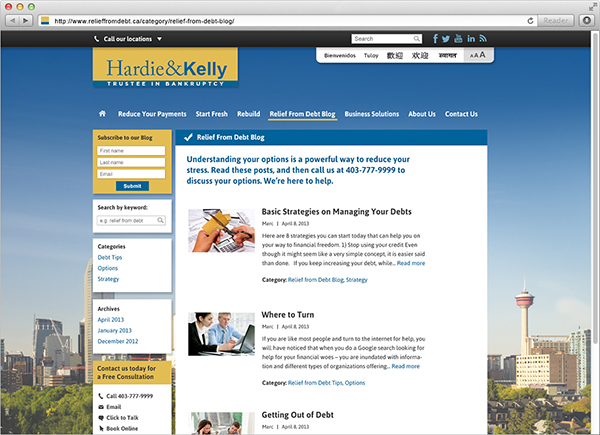 We included features such as Click to Chat for better interaction with the prospective clients, blog posts that would answer key questions, and case studies that would help connect with prospective clients.